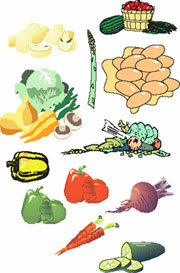 Be part of the Social Network for Nutrition - Publish your great recipe! Try the Meal Matrix All your Meals for the week ... in a minute! Find foods by their nutrition. Add our new Google Gadget to your iGoogle homepage and get recipes by their nutrition content ...fast! Combine 'real' ingredients into recipes and see the nutrition...NOW! Check out our Recipe Calorie Calculator and get Nutrition Data for over 7000 foods. Get the perfect list to make shopping a snap. Get all the nutrition facts on any ingredient or food. Find recipes by calories, % protein, ingredients and more. Build a 'Live Recipe' and see the nutrition data as you build it. You can try different ingredients to see how they effect the nutrition of your recipe. With our revolutionary system you can tailor the nutrition of your recipe to your needs. If you want higher protein or less fat you can use our ingredient query engine to find just the right ingredient to match the nutrition needs of your recipe. RecipeNutrition helps you use nutrition data to build healthy meals. We have been providing the best recipe nutrition calculator on the Internet for over seven years.